Springer Controls offers a variety of panel mount buzzers for audio indication. 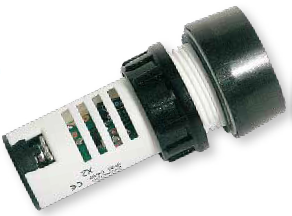 The ECX71 is a combination buzzer and light for audible and visual indication in a compact 30mm X 15mm size (1.2″ X 0.59″). It is designed to be installed in a standard 22m diameter panel hole. The ECX70 is a buzzer for audible indication in a compact 30mm X 15mm size (1.2″ X 0.59″). It is also designed to be installed in a standard 22mm diameter pilot hole.